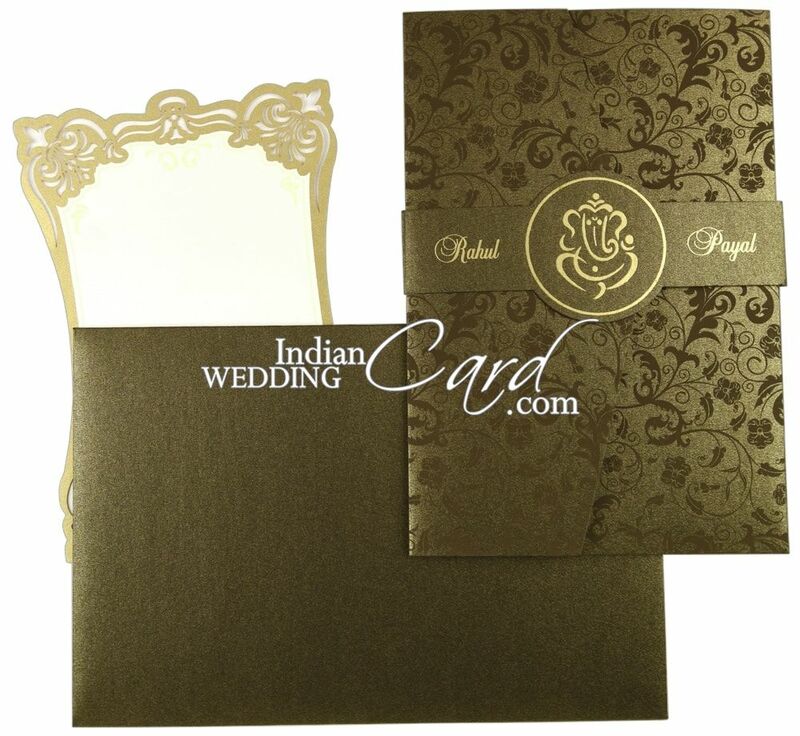 The front of card has a band with Ganesh with the names of bride & groom. 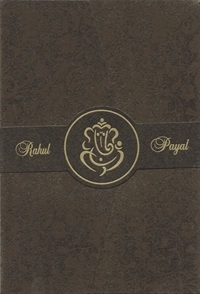 The main card and pocket have self-printed floral motifs. 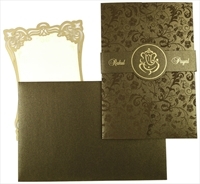 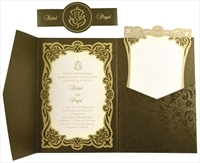 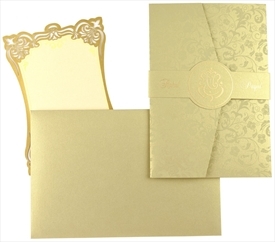 The inserts have floral laser cut golden border all around. 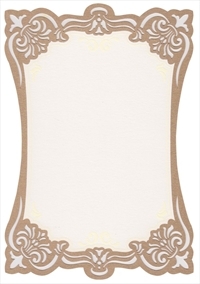 One insert is pasted in center while the other is loose. 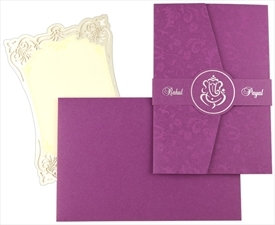 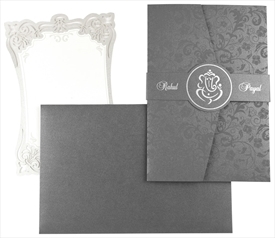 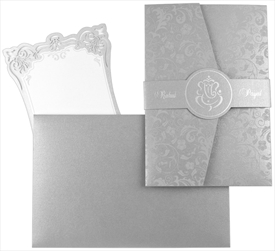 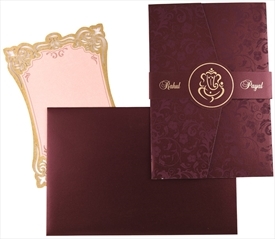 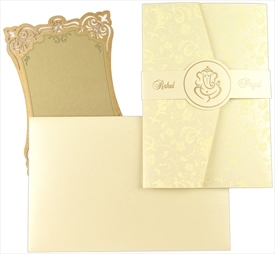 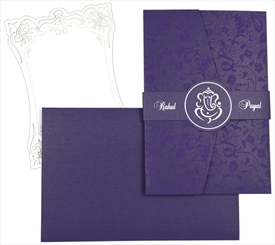 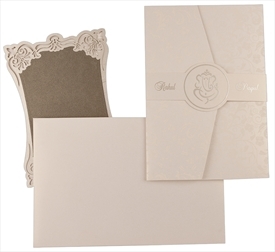 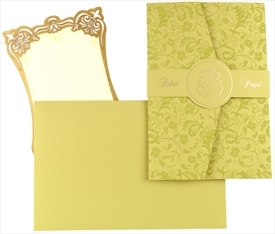 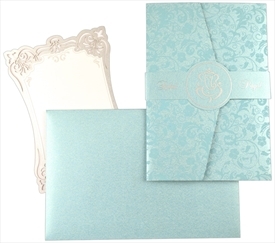 This is an exceptionally beautiful wedding card which will make your invite look grand. 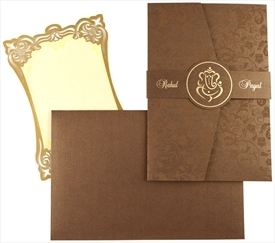 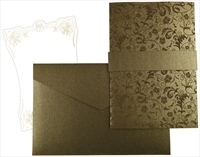 Brown color Shimmer paper (250gsm) for main card, pocket and envelope. 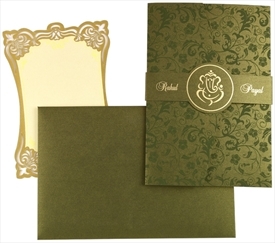 2 inserts cream shimmer paper (250 gsm).